The Leonardo electric spindle is the latest innovation from Alberti featuring automatic tool change and speeds up to 60,000 RPM. This revolutionary system comprises of a main tool body with indexing pin, a stop block with cable and a controller unit. Determine if the Leonardo is right for you. This revolutionary system is comprised of a main tool body with indexing pin, a stop block with cable and a controller unit. 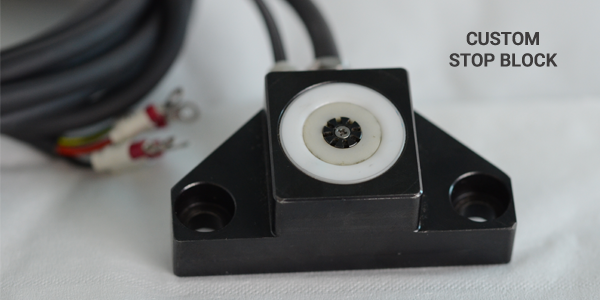 The electric contacts in the stop block and the indexing pin feature a safety cover and allow electric connections only when the head is loaded into the machine spindle. Leonardo is particularly suitable for small machining such as drilling, milling, grinding and engraving up to a 6mm collet. It will definitely enhance the capability of your machine. 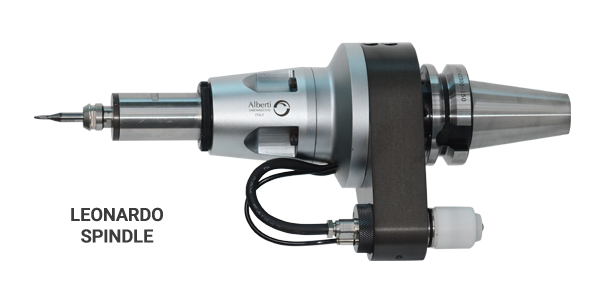 The Leonardo electric spindle is one of the latest innovations from Alberti featuring automatic tool change and speeds up to 60,000 RPM. 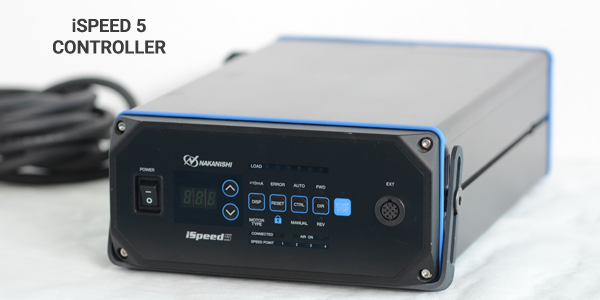 The controller unit is completely integrated with the machine controller so that the main functions of the head, for example speed, can be directly controlled from the machine.